Last night, we had a nearly clear sky for the first time since the Comet PanSTARRS became visible here in Cody, Wyoming (I actually saw it in between the clouds last Sunday, but it was still very low on the horizon.) 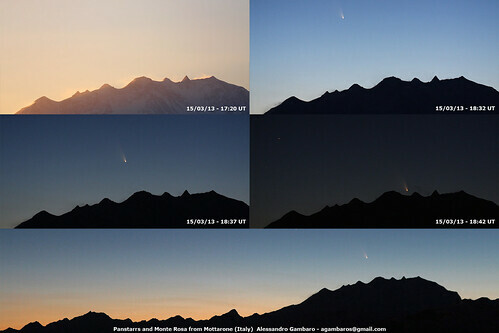 So, last evening I went out northeast of Cody and shot this series of images of the comet. As twilight diminished, the first quarter moon began to dimly light the landscape. The mountain is Heart mountain, a limestone butte that dominates the skyline north of Cody. 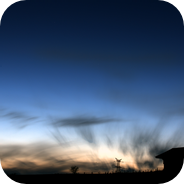 Panoramic with Canon EF 24-70 @ 50mm f/3.5 6s 400 iso 400D. Close-up with Sigma 180 f/3.5 @ f/4.5 2.5s 800 iso 40D. Last edited by Emil Ivanov on Thu Mar 21, 2013 5:06 pm, edited 1 time in total. 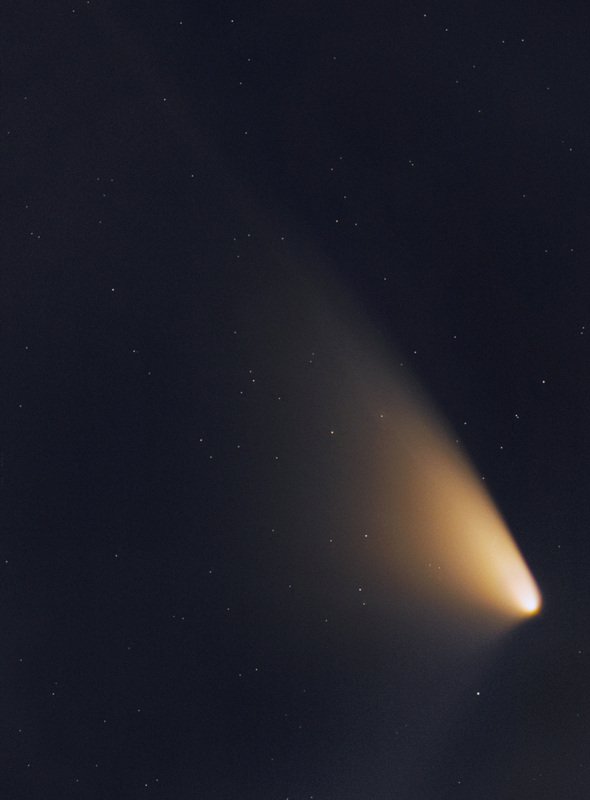 A modest Panstarrs for the collection, between clouds, of course. 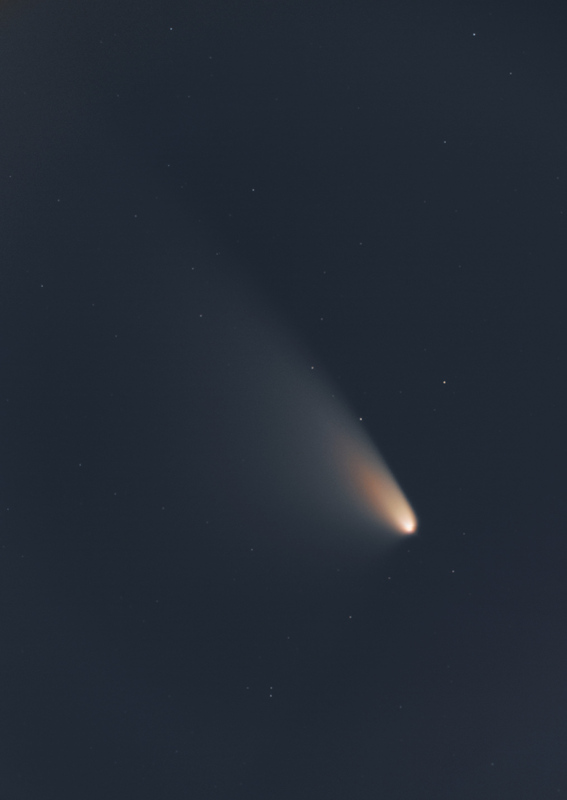 Un modesto Panstarrs para el archivo; entre nubes, claro. This is my first submission to the Starship Asterisk*. Here is my best shot of C/2011 L4 Panstarrs, from the suburb of Le Havre, in Normandy, France. The wind was blowing and the clouds were moving fast and furious. 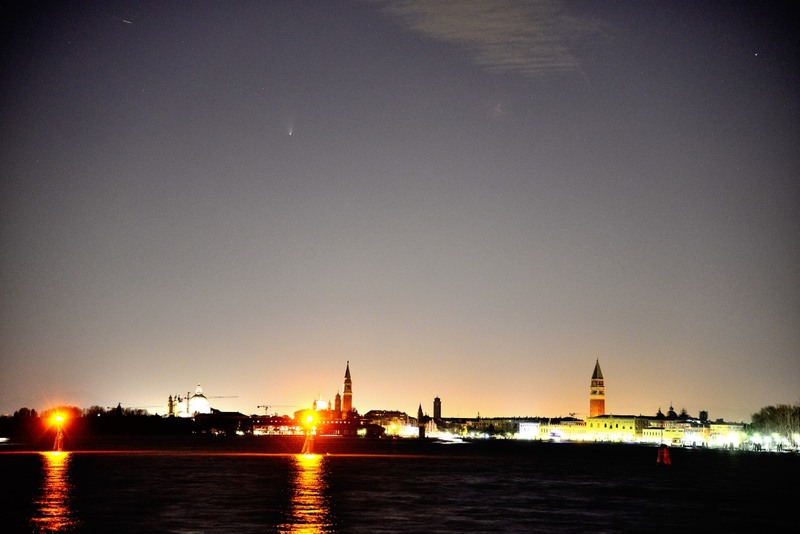 I only had a few dozen of minutes to install my DSLR and shoot the comet. Then, a long time spent to process the 15 images (4 seconds each @ 800 ISO) taken with my Canon EOS Rebel XS/1000D and its 55-200 EFS lens set at 55 mm F/10. I processed the image as a dark sky image, using 5 darks, 5 offsets and 5 flats with Iris. The registration was made in two steps, one on the stars, one on the landscape. Then both resulting images have been processed with masks to keep only the crisp areas. 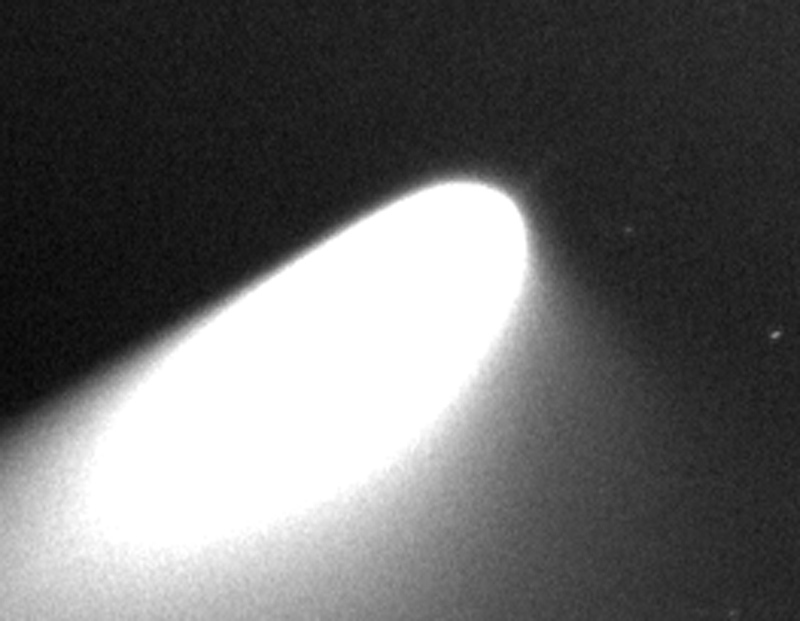 These images show synchronic bands in the dust tail of comet Pan-STARRS. 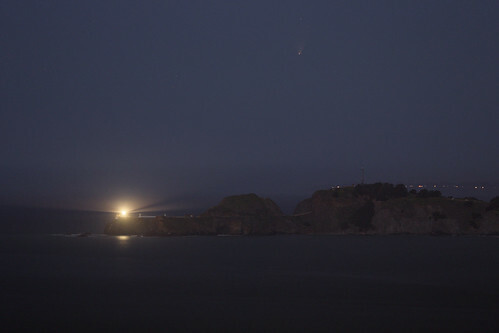 Also a small hint of the sodium tail is visible; this one seems to have decreased the visibility respect to 15 March. The first is a natural processing, while the second one had been enhanced with Larson-Sekanina algorithm. Tech data: TEC 140, SBIG STL-11000 CCD, luminance filter, 7x120 s exp. Guiding on the comet. 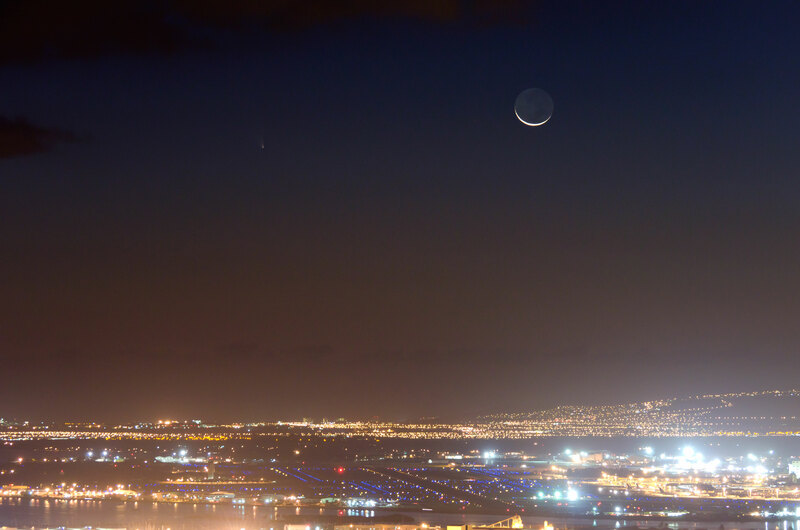 My best Comet Panstarrs shot last week over the Honolulu International Airport. Last edited by owlice on Sat Mar 23, 2013 2:40 am, edited 2 times in total. Last edited by owlice on Sat Mar 23, 2013 2:45 am, edited 1 time in total. Copyright: Vicent Peris (OAUV), Inma Ruiz, OAUV. 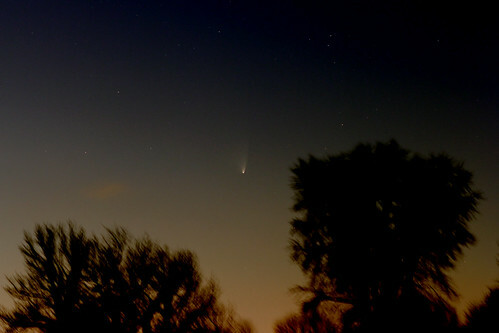 Comet C/2011 L4 (PanSTARRS) was photographed on a very windy evening in Lancaster, Pennsylvania. The high winds can clearly be seen by the movement of the tree in this 2.5 second photograph. 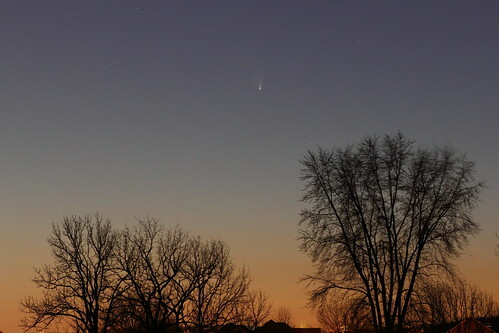 The comet is barely visible to the unaided eye in the western sky about 45 to 60 minutes after sunset. 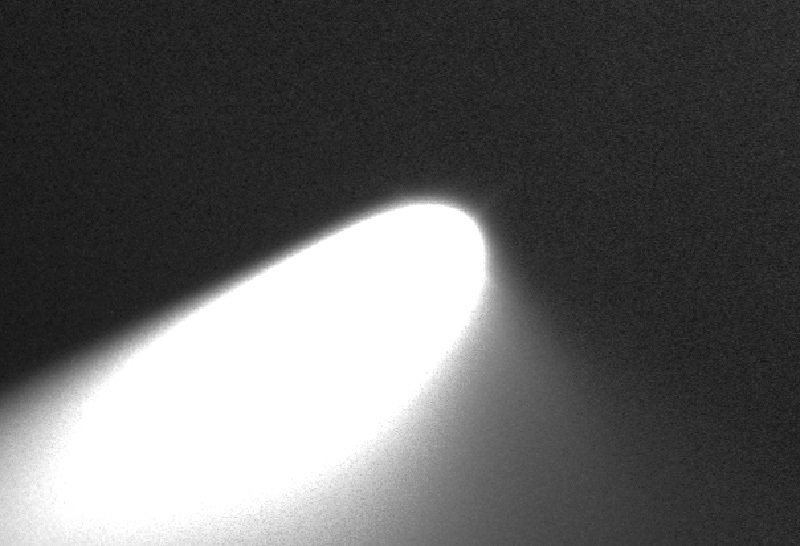 A stack of eleven 3.2 second exposures was taken of Comet C/2011 L4 (PanSTARRS) on March 19, 2013 as it was seen setting in the western sky. Each image was taken with A Canon T2i and a 100 mm f/2.0 lens at f/3.5 (ISO 800) The images were stacked using ImagesPlus. 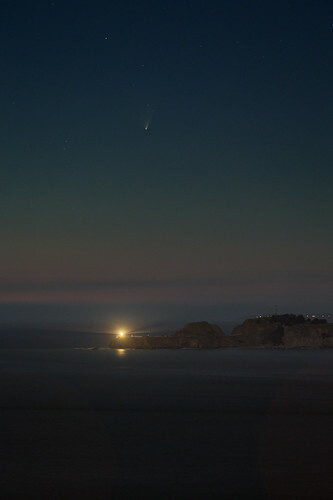 After a week or so of overcast skies in the San Francisco Bay area, two evenings in a row were clear enough to observe comet C/2011 L4. Although it was already too dim to be seen with the naked eye it was visible to my digital camera. 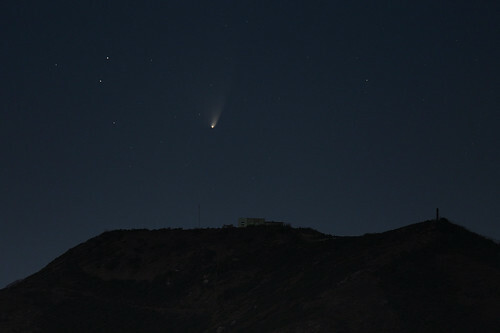 The father of Alexander the Great is watching comet Panstarrs in Thessaloniki Greece. I wonder what is he thinking now? 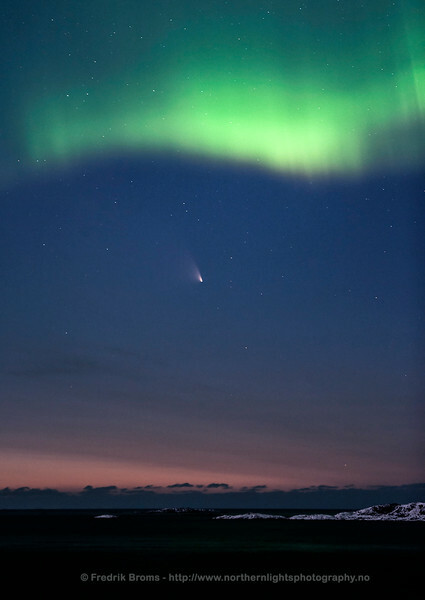 Maybe he sees the comet as a good sign for a future military expedition? Maybe not. Anyway, it is always remarkable when two great icons are joined together! 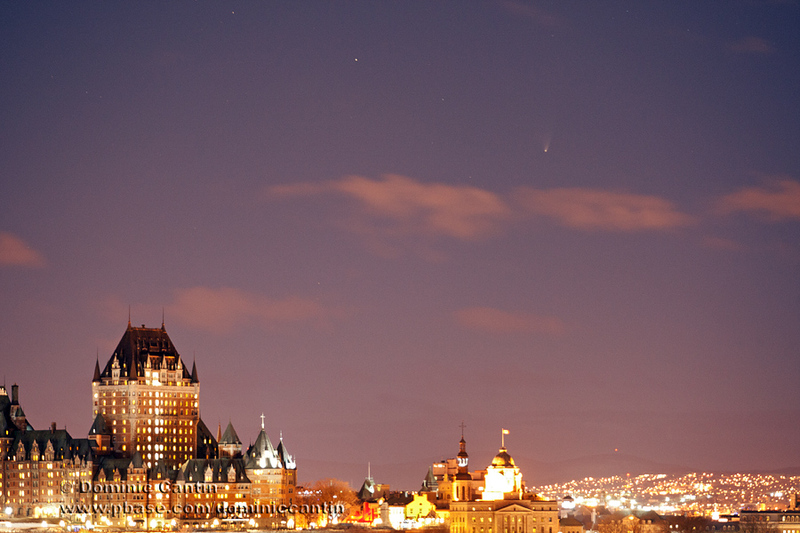 The lights of Château Frontenac are OFF during the Earth Hour. I had not calculated the event but the chance worked well here You can compare with the other image taken ~30 minutes before when the lights are ON. 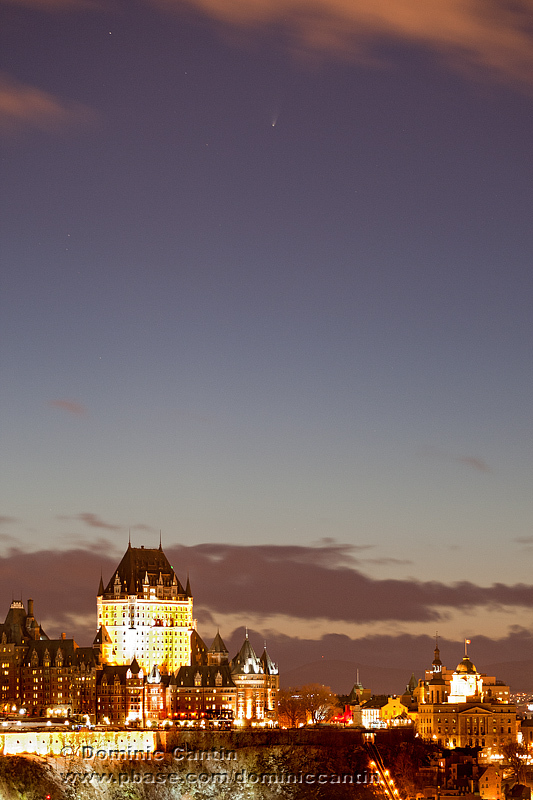 It was in Québec city , Canada. Last edited by owlice on Mon Mar 25, 2013 10:45 am, edited 1 time in total.